Books of October | Damian Trasler's Secret Blog - Do Not Read! The actual number of books this month looks more impressive than it really is – several titles are individual Doctor Who stories in the Anniversary series, but they’re not really whole books – just short stories. However, since they’re packaged individually and written by different authors, I’ve given them a slot each. I mentioned Brad Poynter’s book in a previous post, and intended to give it a solo review. It’s a fun piece, a type of sci-fi that people don’t often attempt anymore. One day, everyone around the world (as far as we know) gets shrunk to miniscule size. Household pets become deadly predators, and getting from one room to another – or even getting up or down furniture – is a major expedition. Our protagonist is a teenage boy, trapped at home with his mother and desperately worried about his girlfriend who lives next door. The story races along at tremendous pace. There’s no let up for the characters as everything is hard and dangerous as they search for a place that’s safe from animals, but presents food and water accessible to tiny people. The “Why?” isn’t considered for a long time, but that’s fine because you only get philosophical about things when you know where your next meal is coming from. I was sorry this was the only the first in a series because I wanted to get all the answers, but I’ll be buying the next one as soon as it appears. A resurgence of Halo playing on my PC (Eldest Weasel decided to try it out, which meant I started playing again too…) got me curious about this new release. 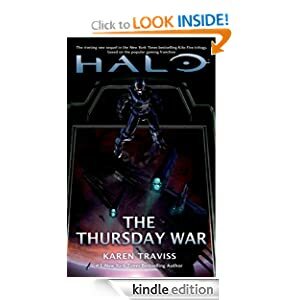 I like Karen’s books, being a fan of the Star Wars Commandos and Clones books she’s produced. However, I got the impression that I had missed the volume that comes before this one – I didn’t know most of the characters, and the situation was already half-developed. If I can find the one that comes first, I may go back and try it out. This was an e-book I’ve been promising myself for a while. 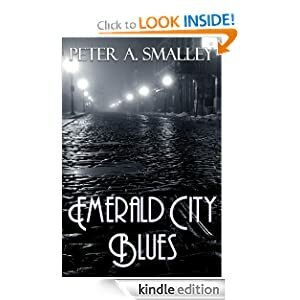 Part PI novella, part spellcaster book, it’s all action and hard-boiled dialogue. Once again, it’s the introduction to a series, but it’s nicely written with good internal logic and interesting characters. I’ll be back for more. One of my favourite audio books is “Old Man’s War”. I have it on Kindle too, as well as the sequel “Ghost Brigades”, but I’d never picked up this third in the series. It was nice to hear from the protagonist John Perry again, along with his unusual wife, ex-special forces soldier Jane, and their adopted daughter. 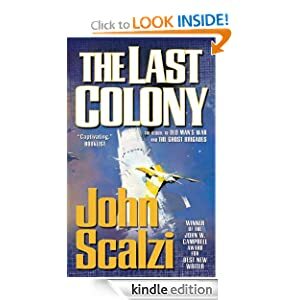 As before, the politics of living in a multi-species galaxy drives a complex plot, but the essence of the book is that John and Jane are given command of a colony world and have to make it work despite indigenous life forms, intransigent colonists and, ultimately, alien invasion. 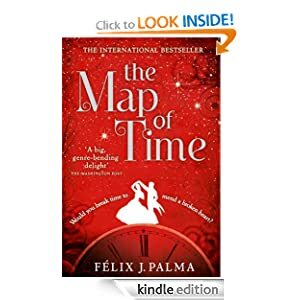 Unless I’m completely mistaken, I still don’t think that this book quite brings the reader up to the point where the latest book “The Human Division” opens, so maybe I’ll look up “Zoe’s Tale”, which purports to be the daughter’s view of events. It may go further…. I’m really enjoying this series of stories, giving each incarnation of The Doctor a new adventure. 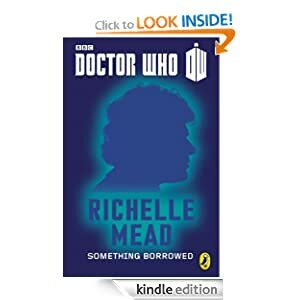 This story – about an alien race existing on Earth and being sold as fashion accessories that only speak the truth – had a real Whovian feel to it. Despite him being on TV when I was growing up, I don’t remember much about the sixth Doctor (Colin Baker) but this story was entertaining and fit the Whovian universe nicely, drawing in old characters and putting them in feasible (in a Doctor Who sense) situations. I haven’t read the award winning “Noughts and Crosses”, so I was looking forward to this short as an introduction to Malorie Blackman’s writing. Sadly, days later, I can’t remember anything about it. Even looking at the cover in front of me, I can’t for the life of me think what “The Ripple Effect” was about. I was glad to finally get my hands on the second in Jenn’s trilogy of GCU sci-fi comedies. 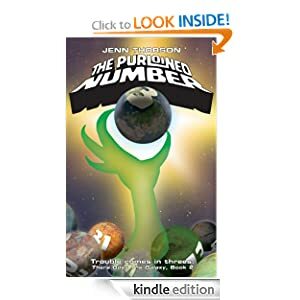 In a world of hard sci-fi, Jenn is taking a much more human and imaginative approach, making her Greater Communicating Universe more about the characters in it, than about the physics that allows them to travel between the stars. 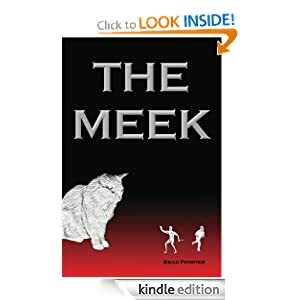 Better yet, her Earthman snatched from his home and dumped amongst the madness in the first book has found his feet and is starting to be a proactive protagonist. After years of watching poor old Arthur Dent wander bewildered through a wonderful Galaxy, it’s great to see Betram decide to go sightseeing, to cash in his fame for real money and use it to buy his own ship – to make the most of his opportunity now he’s offplanet. Of course, there’s also the little matter of the theft of the number three and his erstwhile friend and captor Rollie Tsmorlood to “help out”… But that’s life in the good old GCU. 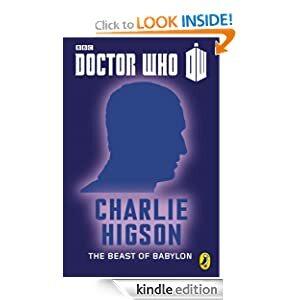 I’m really glad that Charlie Higson is having so much success as a novelist. Taking on Young James Bond right out of the gate must have been daunting, even for a seasoned comedy writer, but his quartet (quintet?) 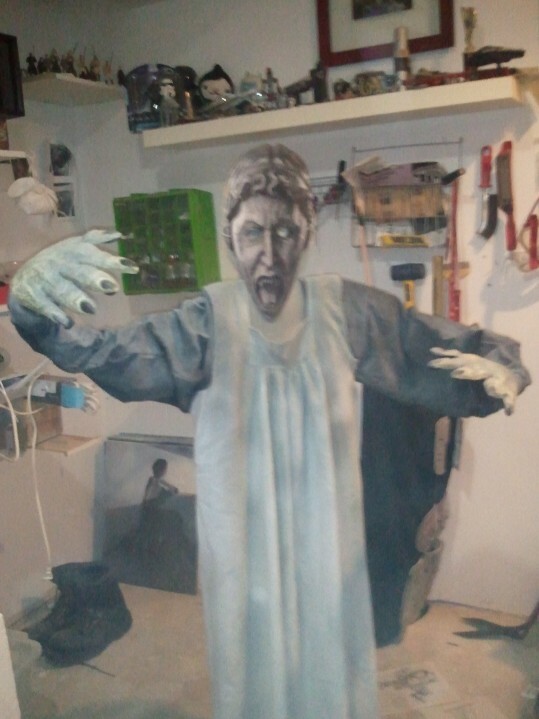 of zombie novels set in England are particularly good. This adventure featuring the Ninth Doctor has the right blend of humour, horror and lesson-learning, and has the nice touch of being set between the Tardis dematerialising after Rose has decided not to travel with the Doctor at the end of the first episode, and then rematerialising for him to say “Did I mention I can travel in time too?”. The whole book takes place in the space of two seconds of screen time…. There are some books that you keep reading because you just can’t believe they are the way they are. This was one of those. By page five I was heartily sick of the word “Drood”, which is a shame because it is mentioned on every page. Every. Single. Page. The lead character is Edwin Drood, and his entire family has either been killed or transported to another dimension. He’s not sure which, but someone is going to pay. Because he’s a Drood. And his family were Droods. And now he’s the last Drood. And vengeance is something that Droods do. Can you see how annoying it is? 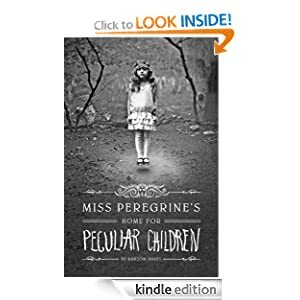 Add in the fact that there are so many shadowy, magical and mystical organisations and rogues, that it makes you wonder if anyone in the whole world is actually NORMAL. Not werewolf, sorceror, half angel, witch, wizard, warlock or whatever, just a regular person….Anyway, after this, there’s another book. 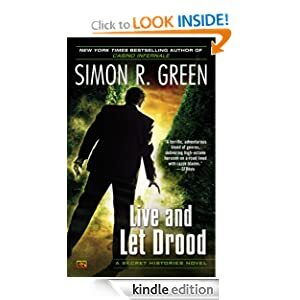 It doesn’t have the word Drood in the title, but I’m willing to bet that’s the only page that doesn’t have it. 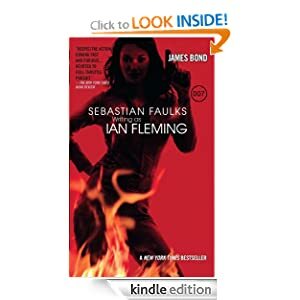 I read the original Bond books at the behest of Mrs Dim, many, many years ago. They were good, in a grim, 1960’s way, and I much preferred the lighter and less complex Modesty Blaise series. However, Faulks has captured the tone and pace of the original books and combined them with a convincing and gripping Cold War plot that works well. Although I’m a huge fan of the Tenth Doctor, and Landy caught his mannerisms well, I didn’t take to the story. It was a good decision to pair the Doctor with Martha, rather than the more ratings-grabbing Rose or Donna, but the “falling-into-a-story” plotline was hard work to explain and escape from. Fun for the dialogue and well-written, but not my favourite of the series. And of course, I’ve also read my own book several times this month – “Tribute”. 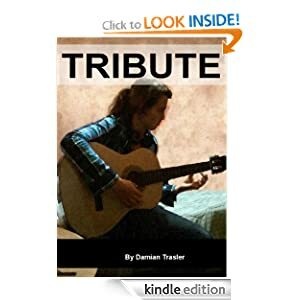 The story of a teenage girl trying to find her own way to grow as a songwriter while coping with the death of the man she thought of as her father and come to terms with a man who might be her biological father. It’s more fun than it sounds. Maybe I shouldn’t have mentioned the death and stuff? Available now from Amazon stores around the world, you can find it on Amazon US HERE , Amazon Canada HERE, and Amazon UK HERE . I think next month I’ll be balancing out all this Doctor Who with some good old fashioned Star Wars books, and I’ll be recovering from Halloween with some comedies and fun stuff. or maybe some cerebral non-fiction again. Coming up soon, I intend to take a whole month to investigate the appeal of the Harlequin-style romance novels (Mills and Boon, to you UK readers…) and then try and write my own within a month. Title suggestions below, please…. 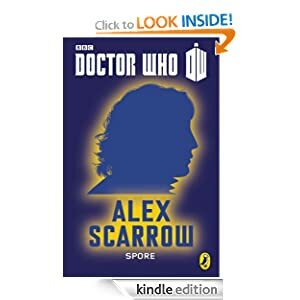 This entry was posted in Book reading, Uncategorized and tagged Book reviews, Doctor Who, Drood, James Bond, The Meek, The Purloined Number. Bookmark the permalink.